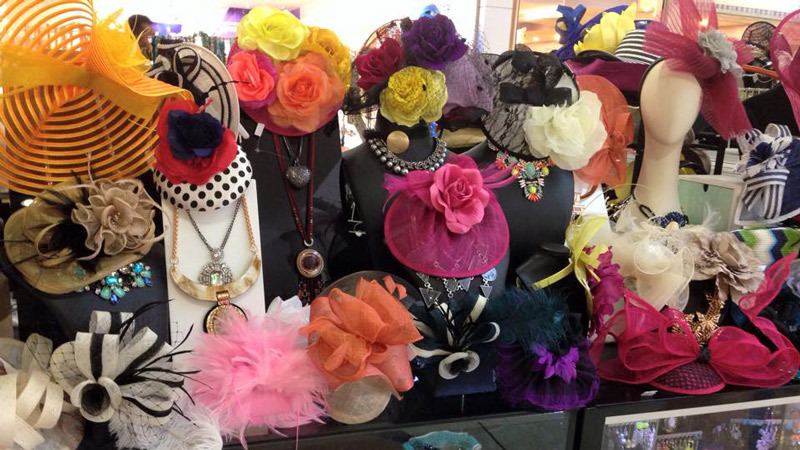 10% discount when you spend over $50 in one transaction. 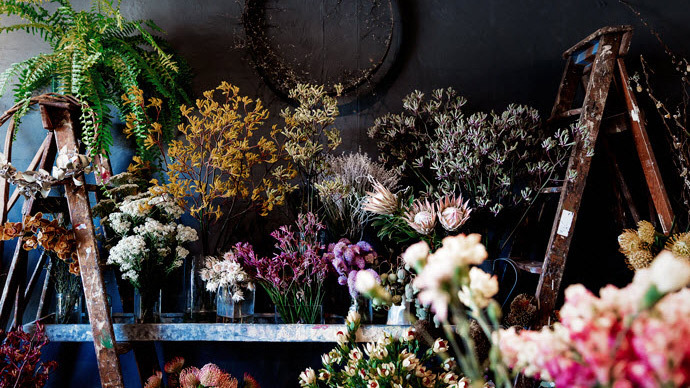 Morpeth Flower Gallery is a Florist specialising in weddings and corporate events for businesses in the Hunter Valley and Newcastle area. 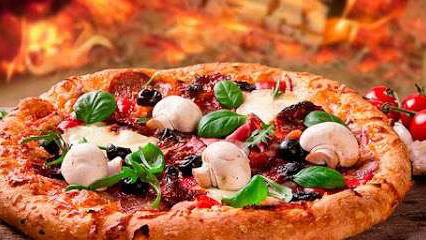 Traditional Italian pizza and pasta, authentic sauces and homemade dough. Not Valid Lunchtime Special or any other Special Promotions. At Burger Foundry St Morris, the food philosophy is all about creating epic burger experiences. The burgers are made from scratch (yes this really is a foundry!) 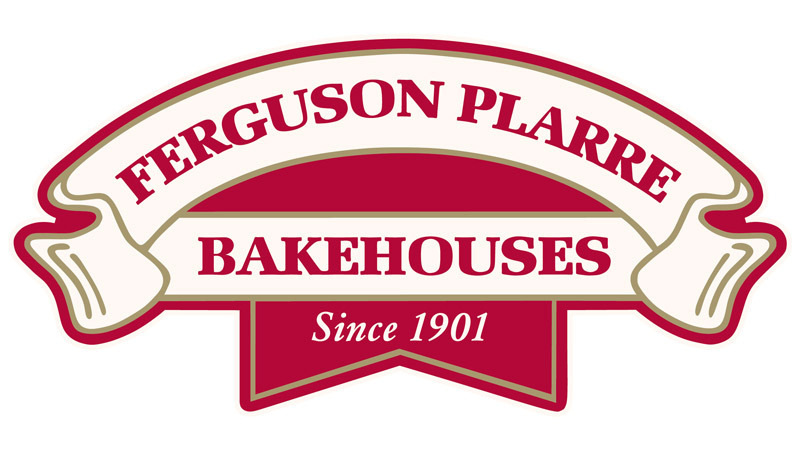 All the meat patties are made from 100% Aussie Black Angus and are gently hand-pressed and sprinkled with a fusion of secret seasonings! The chicken burgers are 100% Chicken Thigh Fillets and chemical and hormone free. There are Veggie Burgers, Sticky Ribs and Sides in abundance. Everyday the tomatoes are lovingly chopped up for a fresh salsa that'll drown your mouth in tangy goodness. The creamy aioli is likewise made fresh daily and is a crowd favourite! Their genius is the unique, one-of-a-kind multi-seed bun that's dotted with flaxseeds, poppy seeds and sesame seeds served warm. Extras are plentiful and include real Chipotle chili, smooth avocado slices and caramelised onions they slowly cook themselves. 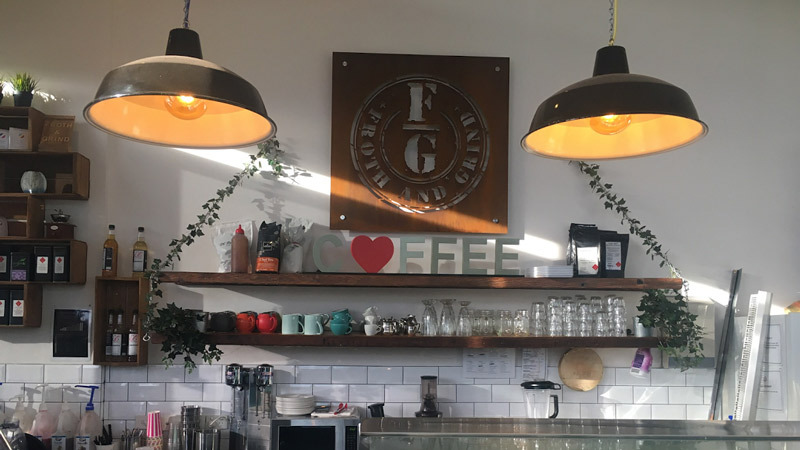 Burger Foundry St Morris is a spacious, clean, trendy and welcoming cafe offering specialised, tasty, hand crafted burgers & more! 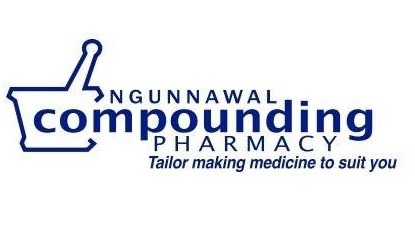 Not Valid on Public Holidays, Take Away or with any other Special Offers / Promotions. 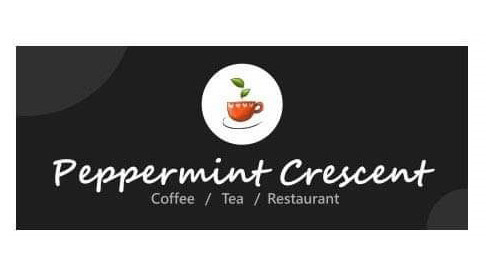 Situated on the waterfront at Batemans Bay, NSW this restaurant offers a great menu of true Indian favourites coupled with attentive, personalised service. Set in a beautiful location with a glass-fronted dining room and white tablecloths, Kohlis offer a warm welcome, traditional cuisine and classic Indian favourites! 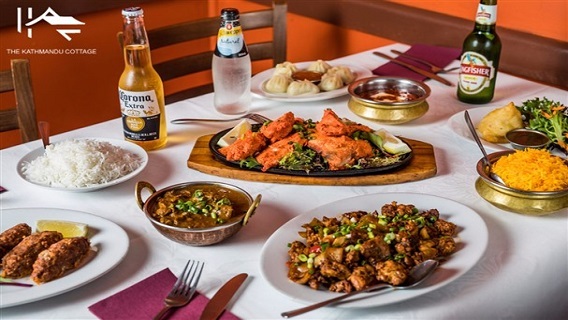 Try the lightly spiced tandoori chicken, the tasty samosas and follow up with some great curry options including everybody's favourite, Kohli's famous butter chicken! If you love spice, order the ultra spicy beef vinadaloo and you won't be disappointed! Save 25% off the total bill up to the value of $25. Not valid take away food. Valid A la carte menu only. Benito's Restaurant & Reception Centre is situated on 2 acres of the beautiful Mornington Peninsula & owned by the same family for 15 years. They do what they love "because life’s too short not to eat good food!". Their chefs use fresh ingredients and staff are caring and professional- It’s a real team effort! Save 25% off the total bill up to the value of $25. 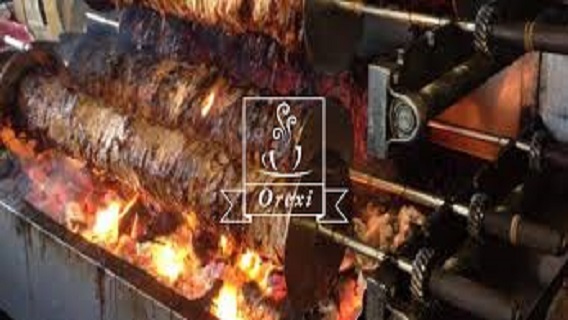 Oakleigh’s oldest and favourite Souvlaki bar located at 33 Chester street, still serves our famous Charcoal grilled gyro and we have now also introduced several more traditional Greek meals like Pasticio and Mousaka. 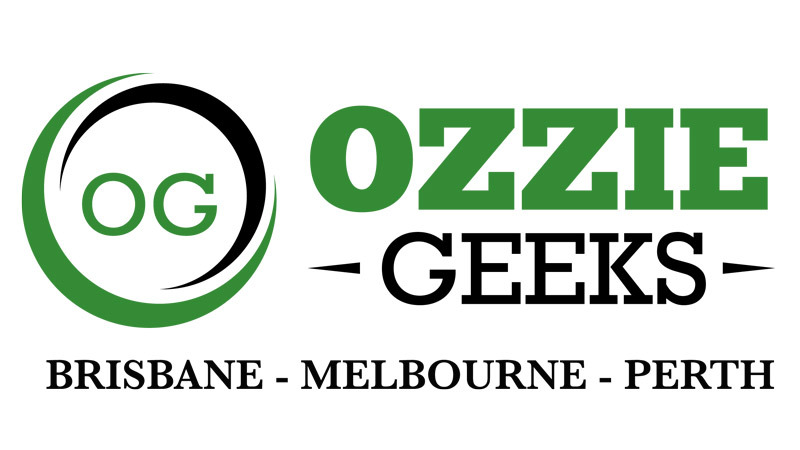 If you’re planning one meal in Oakleigh, it should be the charcoal grilled Orexi souvlaki rolled in warm pita bread, or the one of their generous open plate souvlakia. While you are there make sure you also try our Coffees. Nepalese and Indian dishes served in a low-key space with coloured walls and streetside tables. Save 12% off the price of all Adrenaline experiences purchased online. Click the link to visit the Adrenaline website, search for experiences and add the promo code AMBA12 at check out. Come face to face with sharks in a controlled environment Suitable for complete beginners and experts alike Experience other marine life including turtles and rays The shark dive commences with a SCUBA diving and equipment briefing – theory and practical – in which you'll don your wetsuit and weight belt and march into the training pool. The shark diving instructors will give you personalised tuition, ensuring you're confident with the basic skills and commands. Once in the tank, you will commence a 30-minute shark dive through this underwater wonderland and its endless array of marine life. The more than 30 sharks in the tank include Grey Nurse sharks up to 4.5 metres long, wobbegongs and Port Jackson sharks. There are also four species of stingray and two species of marine turtles. Family and friends can watch your shark dive from the safety of the spectators’ tunnel, where they're free to wave and photograph your encounter. This shark dive adventure will give you an amazing perspective of these fascinating creatures. Once the shark dive is over you can check out photographic evidence of your latest adventure. After your dive, de-brief and certificate presentation you can spend some time enjoying any of the guided tours or talks conducted at the Sanctuary. The shark dive experience is up to two-and-a-half hours long. Explore the city in an unforgettable way Ride on an electric bike and see the sights Take in the grand scenery of the nation’s capital Speed along the epic scenery of Lake Burley Griffin on this electric bike tour – it’s the ideal way to explore the capital. You’ll glide past the iconic buildings and monuments lining the lake, then continue past the rolling parklands and mountain vistas. And if you need a little refreshment, your journey will take you to a cosmopolitan lakeside cafÃ© where you can purchase a delicious meal. This experience includes your electric bike and helmet hire, and a bottle of water. You’ll witness the iconic sculptures and wildlife of Canberra, including the Captain Cook Memorial Water Jet, which shoots a tower of water 150 metres into the sky. Remember to keep your camera handy – there are so many classic buildings and views to capture. Your local guide will take you along scenic cycle paths for a breezy ride you’ll never forget. 1-hour Segway tour through Albany Heritage Park Visit and learn about historical sites Enjoy breathtaking views and all the fun of a Segway You’re invited to jump on a Segway and discover Albany Heritage Park. In this 1-hour guided Segway tour you’ll visit and learn about the historical sites of Albany Heritage Park,. Trek across walkways, parks and historical sites with ease! Jump on a Segway and you’ll be gliding away in no time. 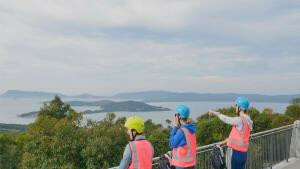 Discover Albany Heritage Park and learn about the park’s connections with Australia’s military in this guided Segway tour that takes you to the picturesque Convoy Lookout from the National Anzac Centre. Other tour highlights include the Padre White Lookout, Desert Mounted Corps and of course the breathtaking coastal views. Riding on a Segway is a unique and environmentally friendly way to see Albany Heritage Park. This easy mode of transport is fun, easy and requires little effort. Reach the brilliant Mt Adelaide and Mt Clarence summits as you learn about Albany’s incredibly rich history. A fun 90-minute Segway tour encompassing Albany Heritage Park, Mt Clarence and Mt Adelaide Journey along the coast to see stunning views at Ellen Cove, King George Sound and Middleton Bay Explore with all the ease of a Segway and learn about Albany’s rich history Join Albany’s Segway team in this exciting 90-minute Segway tour. Starting in Albany Heritage Park, your tour guide will share about the area’s rich historical significance. Glide with ease through the park grounds that include the National Anzac Centre, before climbing the beautiful summits of Mt Clarence and Mt Adelaide. 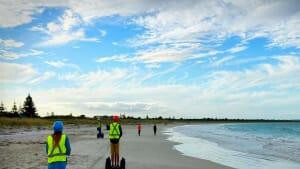 Continue the Segway tour along the Ellen Cove Boardwalk ,which will take you along this stunning coastline, past King George Sound and Middleton Bay. During the whale migration season, you may even see the splash of a Humpback whale or even some Southern Right whales making their journey north. You’ll want to bring your binoculars to glimpse these majestic creatures up close! Motorbike tour from Coffs Harbour with epic views Take in the sights and enjoy the winding rainforest roads North Coast NSW has to offer Coffee break at Nana Glen A motorcycle tour has to be the best way to experience the local beauty around Coffs Harbour in New South Wales’ north coast. Beginning at Coffs Harbour, your motorbike tour will take you to the Jetty area, where you’ll head west on a dream ride, round the twists and turns that lead to the historic village of Coramba. At Nana Glen, a picturesque village, you’ll stop for a refreshing drink at a local coffee shop before you breeze down sweeping roads between rainforest and the Ulidarra National Park. During this picture-perfect scene you can breathe in the tranquil air and take a few snaps. You’ll definitely want your camera for the next stop – once you’ve cruised up to the Forest Pier Skywalk, you’ll discover epic views across the NSW coast and hinterland. Enjoy a relaxing return journey to Coffs Harbour, but not before you stop at the region’s iconic Big Banana Fun Park! Epic motorbike tour through beautiful countryside, quaint villages and mountain ranges Enjoy mid-morning coffee and lunch stops Explore the rainforest at Dorrigo Ranges National Park and stop at Big Banana Fun Park A motorcycle tour has to be the best way to experience the local beauty around Coffs Harbour in New South Wales’ north coast. On one of the best motorcycle rides in Australia, featuring sweeping roads and plenty of twisties to liven up the ride, you’ll feel the breeze, get your adrenaline pumping and take in some epic views. 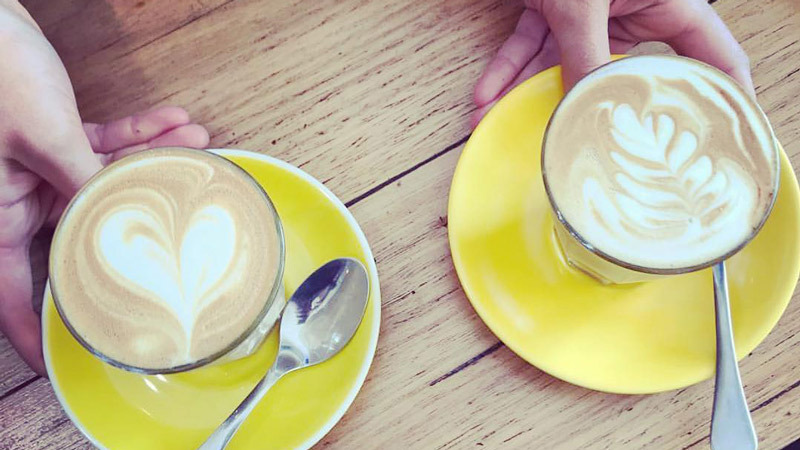 Begin by heading along the coast to Sawtell, a charming seaside village, and on to Bellingen, an eclectic point to stop-off for a well-deserved coffee. Cruise down Waterfall Way taking in the stunning scenery and hop off the bike to take a fun rainforest walk at Dorrigo Ranges National Park, offering plenty of photo opportunities. You’ll then jump back on the bike to visit Dorrigo, a historic town surrounded by incredible mountain ranges offering countless twisties for you to enjoy. Stop for lunch at Coutts Crossing and head east towards Glenreagh along winding roads towards Forest Pier Skywalk, discovering amazing views across the NSW coast and hinterland. Enjoy a relaxing return journey to Coffs Harbour, but not before you stop at the region’s iconic Big Banana Fun Park! Return ferry ticket to Rottnest Island Enjoy a day of discovery and exploration on Rottnest Island 6 transfer times from both directions allows for flexibility in your day Get ready for an adventure on stunning Rottnest Island! With a Rottnest Island return ferry ticket you can explore this island paradise at your own pace. Set off from Fremantle where the ferry departs 3 times per day. Plan your day around the variety of marine life that you are likely to see, including seals, dolphins and tropical fish, or have fun deciding which of 20 beautiful bay or 62 beaches you’ll visit. There are so many things to do on Rottnest Island! On this pleasant 35-minute ferry ride there’s plenty of time to think about what lies ahead while you enjoy the views. When your legs grow weary and you’ve managed to score a selfie with a quokka you can jump back on the ferry with your return ticket to make the journey home. The ferry departs Rottnest Island 3 times a day so you can spend as long, or as little as you like on the island. Discover Mossman Gorge on this 3.5-hour rainforest tour Includes easy 2km scenic walk with experienced guide Stop to admire the rainforest and choose to swim in Mossman river Sometimes you don’t have a whole day to spare, so this 3.5-hour tour is designed to show you beautiful Mossman Gorge in just a few hours. You will be picked up at 8am from your chosen spot in Port Douglas and from here you will be taken to Mossman Gorge. An experienced guide will take you on an easy 2km walk. This scenic route will take approximately 1.5 hours, but there’s no rush. Take the time to admire the rainforest around you, take pictures and discover this lush world. You can even take a dip in the cool waters of the Mossman river! 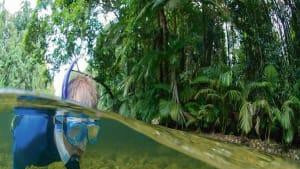 Snorkel down the river in lush rainforest Experience life under the water’s surface, see fish and even turtles Snorkel equipment and wetsuit provided Love nature? Love water? In this tour, you can enjoy both! Step into a lush Queensland rainforest where you’ll find crystal clear waters flowing calmly through the trees. On this unique snorkelling tour you’re invited to wade into the cool river, a welcome relief in the heat of the tropics. Let the current take you as you immerse yourself in the world beneath the water’s surface. Watch as the fish swim in and around you and keep a watchful eye out for turtles. This is an activity that the entire family will love and an ideal stepping stone if you’re planning to snorkel in the ocean reefs. Smaller children will enjoy travelling down the river on a river sled. During the dry season this river tour is appropriate for all ages, however during the wet season it is only recommended for strong swimmers. Glide across Batemans Marine Park in a glass bottom kayak This guided kayak tour gives insight into the unique wildlife of the area It’s an eco-friendly tour and a natural workout It’s the ultimate way to witness the epic beauty of Batemans Marine Park. Explore the natural wildlife of the area on a guided kayak adventure tour, an experience you’ll never forget. You’ll float over tidal sand flats and enter an ancient mangrove system protected in the marine parks’ sanctuary zone. This important area of sand flat, seagrass beds and mangroves is home to a vast amount of wildlife species, ready to be discovered by you. You’ll ride on a sit-on-top kayak to remote and amazing locations – without disturbing the ecosystem. This experience is designed to have a low environmental impact, promoting sustainable travel to benefit local communities, culture, heritage and ultimately the sanctuary itself. And because the kayak is powered by you, it’s a very rewarding workout. The area has a significant cultural heritage for the first Australians, with over 12,000 years of occupation by the Yuin people. Learn why and how the Indigenous people made this place home. Learn how to ski or snowboard Have an epic day of fun in the snow Explore the sights of the Mt Buller village Go from zero to snow hero in one day. Take on the slopes of Mt Buller with this special introductory course to the art of skiing or snowboarding. You’ll have hours of fun playing in the snow and get the chance to get heaps of Insta-worthy photos in the process. Why not create wonderful memories this winter and try something new with a day in the snow? Get rugged up, grab your friends and visit Mt Buller for an introductory ski or snowboard lesson. Later, you’ll have plenty of time to explore the village or enjoy the open fires in one of many bars, restaurants and cafes. Snorkel and discover the iconic beauty of Sydney’s Northern Beaches Learn about the incredible marine special local to the area and the importance of their protection Search for more local wildlife on the Headland Lookout walk Hey there, nature-lover! If you’re interested in heritage, local environment and cultural interpretation, this is the adventure for you. This tour includes a guided snorkel around Manly’s exquisite bays and beaches, plus a headland walk searching for more native wildlife, all the while learning about the marine species’ lives, habitats and necessary Aquatic Reserve protection. Your marine life tour will demonstrate the importance of conserving the natural world (while having a great day out!). Begin your fascinating marine tour at Manly’s Shelly Beach, where you’ll be taken on a guided snorkel. Explore the shallows of this beautiful bay and find marine species like the Blue Groper, as well as local endangered species. Find out more about the habitats of these captivating sea creatures, and the critical importance of Aquatic Preserves, which help protect them. Once you’re back on to solid ground, you’ll search for an abundance of wildlife on your Headland Lookout walk – your expert guide will give insight into the lives and habitats of the creatures you find. 3-hour sightseeing cruise along the Tasmania coastline See spectacular natural formations including sea cliffs, deep-sea caves and waterfalls A chance to observe dolphins, seals, whales and sea birds in their natural habitat An adventure awaits you on this 3-hour Tasman Island Nature Cruise. Travel to the base of the Southern Hemisphere’s tallest vertical sea cliffs at Cape Pillar, explore deep-sea caves and admire waterfalls, rocks formations and archways along the coastline of the Tasman National Park. This cruise off the coast of Tasmania also presents a unique opportunity to see wildlife in their natural habitat including hundreds of seals, pods of dolphins and migrating whales. The sea birds are lively year-round, and passengers are likely to see a frenzy of feeding gannets, flying albatross and sea eagles, as well as cormorants nesting in the cliffs. Custom designed boats provide spectacular viewing opportunities with covered open-air tiered seating. The size of these vessels mean close encounters with wildlife are possible and guests will feel close to the natural environment around them. Each environmentally friendly boat holds up to 43 guests and boasts safety, low emissions and fuel efficiency. A full-day eco cruise encompassing the Tasman Peninsula and Bruny Island Discover natural wonders and local wildlife including seals and dolphins Includes an afternoon of sightseeing on beautiful Bruny Island This is as gorgeous as Tassie tours get! 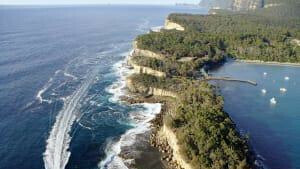 On this full day eco cruise tour, you will be captivated by the rugged wilderness of the Tasman Peninsula. Natural wonders include dramatic cliffs, rock formations, deep sea caves and waterfalls, while the local seals and dolphins will often put on a show. Be sure to remember your camera so you can catch them in action! Morning tea and lunch will be available to purchase before you begin an afternoon on Bruny Island. See the sights on this beautiful island, famous for its fresh local produce, stunning national park and gnarly waves. This unforgettable part of Australia will leave a lasting impression on all who visit. A full day tour encompassing snorkelling, lunch and water sport activities off the north-west coast of Australia See a variety of sea creatures and swim with giant Whale Sharks Includes gourmet lunch and sparkling wine This is an unforgettable opportunity to swim with Whale Sharks! This full day tour, out of Ningaloo on Australia’s north-west coast is a dream location for keen snorkelers, adventure seekers and nature lovers. Here, the sun shines and white sandy beaches meet sparkling turquoise waters where a world of sea creatures can be found. Your day will start when you’re picked up and taken to the boat. You’ll then be given snorkelling equipment, ready for a morning of snorkelling. 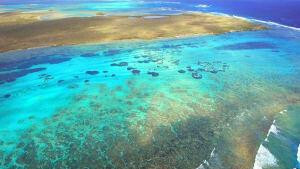 260 km of coral reef stretch through these waters and it’s here you can explore the amazing underwater world. Admire the colourful coral, and watch out for turtles, manta rays, tropical fish and dugongs. Your experienced guide can offer pointers and show you things that are easily missed. Aerial support from above will be on the lookout for majestic Whale Sharks and when their location is confirmed, that’s where you’ll head! Dive into the water with these harmless sea animals and experience an unforgettable feeling as you swim beside these enormous, yet gentle creatures. You will then enjoy lunch, a glass of bubbly and receive a Whale Shark swimmer certificate before getting back in the water for an afternoon of swimming, kayaking or paddle boarding. See Humpback whales in their natural habitat Encounter amazing wildlife on board a 58ft catamaran Soak up the beauty of the Ningaloo Marine Park There’s nothing quite like witnessing the magnificence of a Humpback whale gliding through the ocean. This whale watching experience will take you on a journey to see these giants of the deep, while you ride on-board a spacious 58ft sailing catamaran. You’ll enjoy a stunning 360-degree view, while you lounge and relax on the comfortable day beds, bow nets and prime seating spots. It’s a unique experience every time. Your catamaran will be guided to points of interest by our pilot flying above with a spotter plane. You’ll encounter pods of whales, and other marine life seen from above. Humpback whales are very curious creatures, and it is quite possible they will swim close by. The Ningaloo Marine Park is recognised as one of the major migratory routes for these wonderful creatures as they journey from Antarctica to the Kimberley region. Recently, there was an estimated 30,000 that passed through this route to rest in the sheltered waters. Your choice of any attractions selected from the list below to be used on 3 consecutive days: Included Attractions Taronga Zoo – FREE Entry ANZ Stadium – Explore Ticket Australian National Maritime Museum – Big Ticket Blue Mountains Explorer Bus – Hop On Hop Off Bus Tour Chinese Garden of Friendship – Single Entry Featherdale Wildlife Park – Single Entry Jenolan Caves – Lucas/Chifley or Imperial Cave Tour Madame Tussauds Sydney – FREE Entry Manly Bike Tours – 2hr bike ride Museum of Sydney – FREE Entry Oz Jet Boating - FREE 30 min Jet Boat Ride ($20pp surcharge for Weekends, Public Holidays and School Holidays, payable on the day) Powerhouse Museum – Single Entry SEA LIFE Sydney Aquarium – Free Entry Sydney Olympic Park Aquatic Centre -Combo Entry. Children single entry pool only Sydney Opera House - FREE Tour Sydney Tower Eye & 4 D cinema – Single Entry WILD LIFE Sydney Zoo - FREE Entry Captain Cook Cruises - Hop on Hop off cruise Captain Cook Cruises - Harbour Highlights AAT Kings - Sydney Sights and Bondi Beach or Manly Beach Tour Big Bus - 24 hour Sydney & Bondi Hop on hop off tour for $5.00 Please note: the RedBalloon voucher is valid for 12 months, but once redeemed, the iVenture card is valid for 3 Consecutive days. 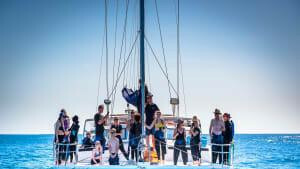 Full day sailing catamaran cruise through Ningaloo Marine Park Swim with Humpback Whales in the wild Enjoy relaxing on a comfortable catamaran Don’t just see the whales, swim with them! A bucket list opportunity awaits with Ningaloo Reef, who are one of only a few organisations licensed to offer a swimming experience with Humpback Whales. On this full day tour, guests will journey into the waters of Ningaloo Marine Park, a major part of the whales’ migratory route, where in 2016, an estimated 30,000 whales passed through and rested. The 60ft sailing catamaran allows for 360-degree viewing with plenty of space to relax on lounge beds and bow nets, while a dedicated spotter plane searches and directs the captain to pods of whales or other marine wildlife. When a pod of whales is located, guests can enjoy watching them from within the boat while the experienced crew assess their behaviour according to Department of Wildlife regulations. The safety of guests and respect for the whales is a top priority so if conditions aren’t right the search will continue for more whales, but in most cases these creatures will be interactive, inquisitive and playful. The chance to swim with Humpback Whales in the wild is a moving experience and the tour operators will do everything in their power to see guests swimming beside a Humpback Whale. With an intimate group of 7, plus a guide, you’ll encounter the whales like never before! Scenic flight over Kalbarri, Coastal Cliffs, Gantheaume Bay and the 122 Abrolhos Islands and coral reefs Discover the exquisite Wallabi Island on a nature walk Swimming and snorkelling in Turtle Bay’s coral reef Discover what the beautiful Abrolhos Islands, off Western Australia, have to offer, with this once-in-a-lifetime swimming and snorkelling adventure among pristine coral reefs. Begin this amazing experience with a flight to remember over Kalbarri on Western Australia’s pristine west coast. You’ll capture birds eye views of the spectacular Coastal Cliffs as you fly over the glittering Gantheaume Bay and the Indian Ocean toward the Abrolhos Islands. This beautiful chain of over 120 islands and their coral reefs are located 65km off the coast and are the southernmost coral reef in the Indian Ocean, the coral reefs with the highest latitudes in the world and are home to a significantly important seabird breeding site. Known for its exquisite coral reefs and exotic bays, East Wallabi island is your destination for the day. Once the plane lands, take a short stroll to the white sands of Turtle Bay adjacent to the contrasted turquoise shallows and spend your morning snorkelling and swimming among the sheltered waters of the reef. Enjoy a light refreshment with morning tea, and adventure across the island on a nature walk, where you’ll breath in the limestone caves, spot the bountiful birdlife and gaze over the neighbouring islands. Though you won’t want to leave, your return plane journey will provide striking views over the coral atolls as you head back to the mainland – you may even catch a glimpse of the Batavia shipwreck! Scenic flight over the Indian Ocean toward the Abrolhos Islands Descend low over the Wallabi Islands and their colourful coral reefs Discover by air the Batavia shipwreck and the picture-perfect Pink Lake at Hutt Lagoon Discover the incredible views from the air that Western Australia has to offer. Get a bird’s eye view of the exquisite Abrolhos Islands and their coral reefs, see the historic Batavia shipwreck and even catch the phenomenon that is the aptly named Pink Lake at Hutt Lagoon – all from the comfort of an enjoyable scenic flight. Starting from Kalgarri, you’ll fly over the mouth of the Murchison River where you’ll see the impressive Coastal Cliffs and Bluff Point. Touring past Gantheume Bay, you’ll head toward the Abrolhos Islands with their crystal-clear waters and colourful coral reefs. View the Wallabi Islands’ surf breaks or ‘Super Tubes’ and take in all the exotic islands have to offer, before you head to your next must-see destination. Grab a slice of history as you fly over the location the soldiers from the Batavia successfully stood against the mutineers. Spot the scarred coal from where the Batavia Wreck was rescued from the reef and continue on to the breathtaking Pink Lake – aptly named due to its large presence of Dunaliella Salina, an algae rich in Vitamin A and beta-carotene, a food-colouring agent, that produces carotenoid, creating a distinctive and vibrant pink hue. 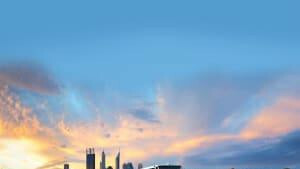 Full day tour of Perth and surrounds by boat and tram Explore Fremantle via the Fremantle Tram Includes buffet lunch cruise This full day guided tour through Perth and its surrounds presents a relaxing way to explore this city. Begin your day on the Swan River where you can soak up the sights and all the action of Perth from the comfort of your Captain Cook cruise boat. The skipper will provide informative commentary as you make your way along the river. Complimentary tea and coffee will also be available. In Fremantle, guests will be invited to hop on the Fremantle Tram for an interesting guided tour of this old port city. Return to the boat for an enjoyable buffet lunch, including a complimentary soft drink, as you make your way back to Perth. 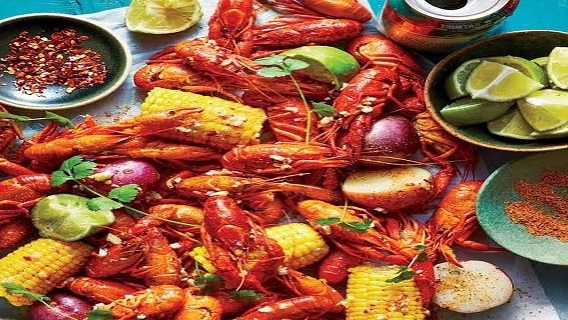 Luxury Swan River dinner cruise in Perth overlooking the city lights 3-course buffet dinner and selection of alcoholic and non-alcoholic drinks As you step aboard your luxuriously appointed vessel and depart the pier, your magical dinner cruise will begin. As you cruise around Perth’s Swan River in the wake of the city lights, you’ll enjoy a delightful 3-course buffet dinner as well as soft drinks, beer and an array of Waters Edge Estate wines, which will be served by the attentive staff throughout your relaxing evening on the water. With live entertainment to perfect night’s atmosphere, this Swan River dinner cruise is the perfect setting for a luxurious date night. Cruise along the beautiful Swan River Enjoy lunch, fresh produce, a cheeseboard, wine and beer at Mandoon Estate, Lancaster Winery and Providore Visit Margaret River Chocolate Company for a truffle and chocolate tasting Make your way along the Swan River from Perth on this wine cruise with lunch to the stunning Swan Valley. While you relax and watch the scenery go by, you can enjoy a tea or coffee and freshly baked muffins. Mandoon Estate is the first stop on this culinary journey where lunch will be served in the Estate’s microbrewery. The gourmet food is paired with a glass of beer or wine. The next stop is Lancaster Winery where a cheese board and wine tasting await you. Sweet tooths will relish the opportunity to sample chocolate and truffles at the Margaret River Chocolate Company, before tasting fresh local produce, chocolate liqueur and wine at Providore. Cruise your way downstream back towards Perth as you sip on the all-inclusive wines and scrumptious cake on board. A full day tour to Swan Valley, departing from Perth Includes premium Western Australian wines in a guided tasting Enjoy lunch paired with glass of beer or wine Wine lovers will be in heaven as they journey into the stunning Swan Valley, home to some of the best wine producers in Western Australia. Enjoy tea and coffee with freshly baked muffins as you cruise up the Swan River to Mandoon Estate. Here, you will be treated to premium Western Australian wines in a guided tasting. A selection of cheese boards will complement the delicious wines. In the Estate’s microbrewery you will sit down for lunch, expertly paired with a glass of beer or wine. 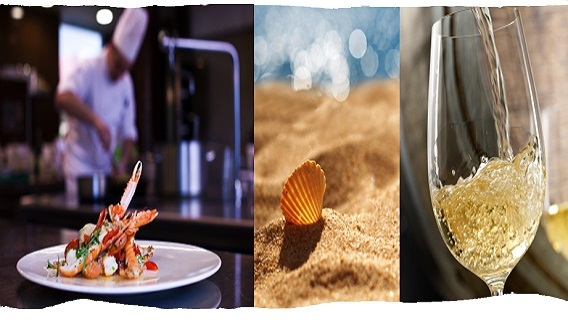 On the journey home to Perth, guests will be invited to sip on all-inclusive wines and indulge in delectable cake. 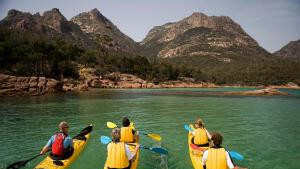 Take a scenic journey on board a sea kayak Explore the Coles Bay coastline Witness the wonders of the Freycinet Peninsula It’s the ultimate way to explore the spectacular coastline of Coles Bay, beneath the Hazards range. Glide along the water and enjoy the unique perspective provided by sea kayaking. You’ll pass quietly by wildlife and maybe even see a majestic eagle as it soars above. This is a beautiful part of the world, and our expert guides will share stories about its natural features and cultural events. Learn about the ancient culture of the Oyster Bay tribe, hear tales of French explorers, and discover the history of secluded coves such as Honeymoon Bay. As you glide over seagrass beds and reefs, you’ll enjoy a spectacular view of an underwater world through the crystal-clear waters of the Freycinet Peninsula. 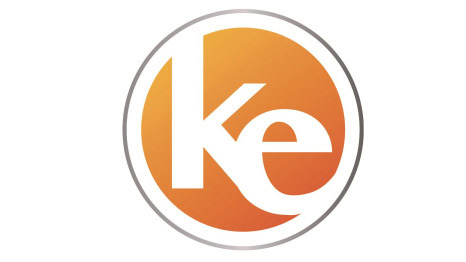 Your experience will start with safety tips and a demonstration of sea kayak paddling technique. It won’t take long to master the paddling skills and head out on onto the water in a stable double kayak. Your journey will also take you onto a pristine beach where you will enjoy a tea of fresh brewed coffee and cake before continuing the journey around Coles Bay. One complimentary Devonshire Tea with the payment in full of a second Devonshire Tea. Present this offer at the end of the meal and then SHOW YOUR CARD to redeem. 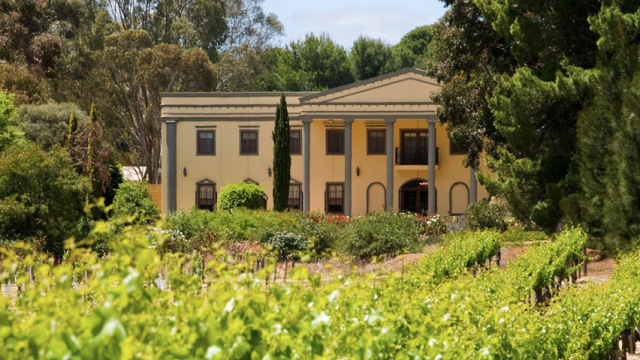 Come and experience a truly wonderful day at Barossa Chateau, for a unique shopping trip or day out with friends and family. What a better way to enjoy your afternoon than with devonshire tea in our cafe, then taking a wander through our fabulous gift shop followed by a stroll through the Art & Antique Gallery. You drive a V8 Race Car for 6 laps AND ride for 3 laps Most powerful 450hp V8 race cars available to drive in Australia! Real race car driver/instructors in the car with you Priority access to the track so you spend less time waiting Be one of the first get on the track with this queue jump pass. Spend less time waiting for your turn and get in the car quicker.Nothing shakes the body like the roar of a V8 race car, and nothing stirs the soul more than a session of hot laps in a V8 six-speed Commodore or Monaro around Melbourne's legendary V8 race track, Sandown Raceway. The Sandown Raceway V8 drive day begins with a briefing conducted by experienced race drivers. During pre-drive tuition, your driver will explain techniques on cornering, apexes and exiting, efficient braking and acceleration, steering, gear changes and general car control. Safety and track awareness will also be discussed. There's plenty of time to ask questions so you'll feel completely comfortable before putting V8 race car theory into practice. Then it's time to let loose your inner revhead during a session of real life V8 driving action. Each driver does their driving session behind the wheel of a fully race-prepared Ford or Holden. Then, just when you reckon you can drive a V8 like Mark Skaife, your experienced race driver will take control again for a session of seriously quick V8 hot laps that you're not likely to forget for a very long time. Experience Surfers Paradise at high speed with a 8.5 litre V8 jet boat ride. Traveling at speeds of up to 80 km/h you will feel the wind in your hair and have loads of fun. As the jet boat roars out of Surfers Paradise, the vessel turns north and thunders past the palatial elegance of Versace Hotel, Sea World and The Spit. As the engines blast into high powered action the jet boat flies across the water as speeds of up to 80 kilometres per hour. Experience fish tails, wave surfing, beach blasting, massive sideward slides and incredible 360-degree spins, on the Gold Coast’s most powerful jet boat. Weaving around Wavebreak Island and across the Gold Coast Seaway, the jet boat executes a quick spin and a slide before blasting along the fringe of pristine white beaches as it heads down the Western Channel. Your jet boat ride is 60-minutes of non-stop excitement and thrills. Each jet boat ride can take up to 14 passengers. This is Gold Coast entertainment at its best! You drive a V8 Race Car for 6 laps AND ride for 3 laps Most powerful 450hp V8 race cars available to drive in Australia! Real race car driver/instructors in the car with you Priority access to the track so you spend less time waiting Be one of the first get on the track with this queue jump pass. Spend less time waiting for your turn and get in the car quicker.Nothing shakes the body like the roar of a V8 race car, and nothing stirs the soul more than a session of hot laps in a track-prepared V8 six-speed Commodore or Monaro around Sydney's V8 race track, Eastern Creek Raceway. The V8 drive day begins with a briefing conducted by experienced race drivers. During pre-drive tuition, your driver will explain techniques on cornering, apexes and exiting, efficient braking and acceleration, steering, gear changes and general car control. Safety and track awareness will also be discussed. There's plenty of time to ask questions so you'll feel completely comfortable before putting V8 race car theory into practice. Then it's time to let loose your inner revhead during a session of real life V8 driving action. Each driver does six full-pelt laps behind the wheel of their V8 Commodore or Monaro. Then, just when you reckon you can drive a V8 like Mark Skaife, your experienced race driver will take control again for three more seriously quick V8 hot laps that you're not likely to forget for a very long time. You drive a V8 Race Car for 4 laps AND ride for 3 laps Most powerful 450hp V8 race cars available to drive in Australia! Real race car driver/instructors in the car with you Priority access to the track so you spend less time waiting Be one of the first get on the track with this queue jump pass. Spend less time waiting for your turn and get in the car quicker. Nothing shakes the body like the roar of a V8 race car, and nothing stirs the soul more than a session of hot laps in a V8 six-speed Commodore or Monaro around Melbourne's legendary V8 race track, Sandown Raceway. The Sandown Raceway V8 drive day begins with a briefing conducted by experienced race drivers. During pre-drive tuition, your driver will explain techniques on cornering, apexes and exiting, efficient braking and acceleration, steering, gear changes and general car control. Safety and track awareness will also be discussed. There's plenty of time to ask questions so you'll feel completely comfortable before putting V8 race car theory into practice. Then it's time to let loose your inner revhead during a session of real life V8 driving action. Each driver does their driving session behind the wheel of a fully race-prepared Ford or Holden. Then, just when you reckon you can drive a V8 like Mark Skaife, your experienced race driver will take control again for a session of seriously quick V8 hot laps that you're not likely to forget for a very long time. You drive a V8 Race Car for 4 laps AND ride for 3 laps Most powerful 450hp V8 race cars available to drive in Australia! Real race car driver/instructors in the car with you Priority access to the track so you spend less time waiting Be one of the first get on the track with this queue jump pass. Spend less time waiting for your turn and get in the car quicker. Nothing shakes the body like the roar of a V8 race car, and nothing stirs the soul more than a session of hot laps in a track-prepared V8 six-speed Commodore or Monaro around Sydney's V8 race track, Eastern Creek Raceway. The V8 drive day begins with a briefing conducted by experienced race drivers. During pre-drive tuition, your driver will explain techniques on cornering, apexes and exiting, efficient braking and acceleration, steering, gear changes and general car control. Safety and track awareness will also be discussed. There's plenty of time to ask questions so you'll feel completely comfortable before putting V8 race car theory into practice. Then it's time to let loose your inner revhead during a session of real life V8 driving action. 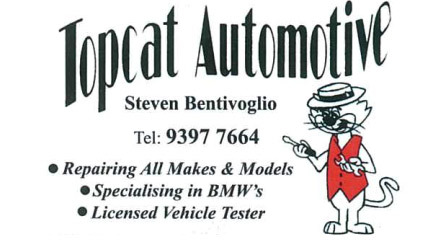 Each driver does 4 full-pelt laps behind the wheel of their V8 Commodore or Monaro. Then, just when you reckon you can drive a V8 like Mark Skaife, your experienced race driver will take control again for three more seriously quick V8 hot laps that you're not likely to forget for a very long time. High ropes tree tops course among the Tuart Forest, Busselton 6 sections varying in height and difficulty 1.2km total zipwire Perfect teambuilding exercise Family-friendly day out in Busselton Perfect for a team building exercise, family day out or just fun for friends, experience a forest adventure day out like no other at this high rope tree tops course in Busselton. With 6 sections varying in height and difficulty, you’ll discover heights of 4 meters up to a mind-boggling 19 meters from the ground! Among the forest canopy, you’ll find 1.2km of zip wires amongst other fun tree top challenges. Think you have what it takes to adventure above ground through the forest? Try it out to see! 1-hour sidecar motorcycle ride from Thirroul on the NSW south coast Highlights include Sea Cliff Bridge and Bald Hill lookout Take the journey on your own or with a friend This unforgettable experience will leave you feeling exhilarated! Feel the breeze as you cruise along Grand Pacific Drive in a sidecar motorcycle. This is a truly unique way to see the breathtaking views and landscapes surrounding beautiful Thirroul. A perfect adventure lies before you, with your helmet on, goggles secure and sunny skies above! Make your way across the iconic Sea Cliff Bridge before climbing to Bald Hill lookout, 300 metres above sea level. You don’t have to experience it alone either, you have the option to bring a friend who will sit behind your guide or in the sidecar, it’s your decision! Children 8 years and over are welcome to join you, but they must ride in the sidecar. Photo opportunities are plentiful with lots of stops throughout the ride. 2-hour sidecar motorbike tour Participants will journey along Lawrence Hargrave Drive to Bald Hill lookout and back along Grand Pacific Drive and the Sea Cliff Bridge Option to ride solo or bring a friend In this 2-hour sidecar tour you’ll be treated to some of the best views on the NSW south coast. Wind your way along Bulli’s stunning coastline and feel the fresh breeze on your face. On Lawrence Hargrave Drive, In the comfort of your sidecar, you’ll pass through coastal suburbs, starting at Thirroul and journeying through Austinmer, Coledale, on to Wombarra, then Scarborough, Clifton and finally Coalcliff and Stanwell Park. 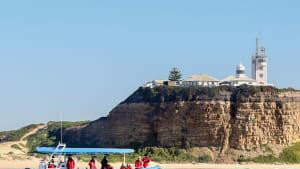 At Bald Hill lookout you will enjoy magnificent views of Sea Cliff Bridge and Grand Pacific Drive. Snap a few pictures and watch the hang gliders launch before you make the equally stunning ride home. You can experience this tour solo or choose to bring a friend. Participants should be at least 8-years-old. A 3-hour sidecar motorbike tour on the NSW south coast Stops include Bulli Pass, Sublime Point lookout and Bald Hill lookout Cruise along Sea Cliff Bridge - an iconic part of the Lawrence Hargrave Drive Feel alive as you cruise in an open-air sidecar! This spirited journey starts in Wollongong, from where you’ll head to Bulli, via the stunning coastal suburbs. As you travel along the south coast’s golden beaches, curious onlookers can’t help but stare. Briefly stop at Bulli Pass, before heading to Sublime Point lookout where you can stop and take in the amazing panoramic views 415 metres above sea level. 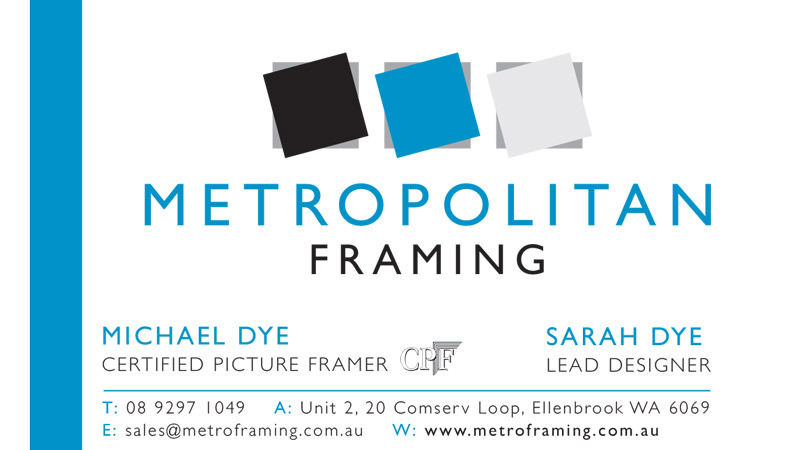 The wind will flow around you as you make your way through Maddens Plains and on to Bald Hill lookout. Enjoy the magnificent views encompassing Sea Cliff Bridge and the Grand Pacific Drive. Take a minute to watch the hang gliders launch and snap a few pictures. On the homeward grand finale, you’ll drive along Lawrence Hargrave Drive and the famous Sea Cliff Bridge. 1-hour sidecar motorbike adventure Make your way through stunning mountain scenery and lush rainforests Experience the journey on your own or with a friend You’re guaranteed to have fun as you explore Mount Keira on this 1-hour sidecar motorcycle tour. From your position in the sidecar you can sit back and admire the views on a whole different level. Soak up the fresh air as you travel through the Illawarra’s outer suburbs and into the lush rainforest. You’ll see stunning scenery as you wind your way up the mountain. At the top, 464 metres above sea level, you’ll enjoy magnificent views across Wollongong and beyond. You don’t have to experience it alone, with the option to bring a friend who will sit behind your guide or in the sidecar, it’s your decision! A 4.5-hour tour showcasing some of Canberra’s hidden hotspots Tour includes guided nature walk, e-bike tour and visit to NASA Deep Space Communication Complex Ideal for families This half-day Canberra tour is designed to take you to some of Canberra’s not-so-obvious, yet just as exciting spots. With a friendly tour guide you’ll make your way to Tidbinbilla Nature Reserve where you will have the opportunity to meet koalas. The forest and wetland environments are also home to wallabies, potoroos (mini kangaroos), water birds and the unique platypus. Up next is an electric bike ride along a 5km path through forests and open grasslands. E-bikes can be ridden by children 12 years and older. On this part of the tour you can take in the surrounding environment, the serene mountain views and enjoy an intimate encounter with roos at the kangaroo grazing grounds. The e-bike tour is optional, and participants can choose to jump in a car with their tour guide instead. Finish the day with a visit to the NASA Deep Space Communication Complex where you’ll discover all about the planets, the Mars rover and Apollo moon missions. A 90-minute pedal kayaking tour in Canberra Discover the beauty and local wildlife of Lake Burley Griffin Share the experience with a mate Glide your way across Lake Burley Griffin in the company of a mate on this 90-minute kayaking tour in Canberra. The mountain ranges and forested peaks that envelope Canberra can easily be seen from your position on the lake, allowing you to feel completely immersed in the quiet serenity, while Canberra’s national buildings seem a world away. Discover the native Australian birdlife that call the lake and its islands home. As you observe them in their natural habitat you will begin to understand how they live together as a community. Given the size of Lake Burley Griffin, the direction of kayak tours is dependent on weather conditions. An all-day tour with encompassing 3 inspiring destinations with Westside Tours Includes adrenaline 4-wheel driving adventure and dune sandboarding Fish and chips is provided for lunch This full day tour departing from Perth takes adventurers straight to the scenic Yanchep National Park. Walk along a 240-metre-long boardwalk where you can observe the native Australian wildlife. The park is home to the much-loved koala and lucky visitors may see some jumping kangaroos. The sand dunes of Lancelin are the next stop. Jump in a 4WD and experience 45 minutes of thrills as you cruise up and down the dunes. Take to the dunes on a board and sandboard down these sandy hills in locations that can only be reached by 4WD. Lunch is served at the Lobster Shack in Cervantes, a nearby coastal town. When you’ve finished your fish and chips, you’ll make your way to the grand finale at Pinnacles Desert. Thousands of limestone spires can be seen rising up from the sand, and you’ll be left in awe as you reflect on how they’ve formed over millions of years. Explore Byron Bay’s hinterland and coastline on horseback Enjoy stunning sunrise or sunset nature views on this guided tour Fun and easy activity suitable for all ages Escape the city life and explore Byron Bay’s beautiful hinterland and coastline on this 90 minute horse riding adventure at dawn or dusk. This guided scenic trail ride will take you through unbelievable forest greenery arriving at the hidden Belongil beach to watch the spectacular colours of dawn or dusk. Savour the peace and quiet, admire the beautiful flora and fauna and stunning beach views on this fun and relaxing activity for all ages and abilities. Once you reach the secluded Belongil Beach you will trot along the sandy shoreline, taking in breathtaking water views and magnificent colours of the sunrise or sunset. This leisurely group activity is a memorable and thrilling experience for all ages. Visit the pristine sand dunes of Lancelin Feel the rush as you four wheel drive up and down the biggest sand dunes in Western Australia Sandboard down the mega dunes Buckle up your seatbelt for this epic adventure through Lancelin’s white sandy dunes, located a short 1.5 hour drive north of Perth. On this Lancelin 4-wheel drive tour a qualified driver will take you on an unforgettable ride across Lancelin’s massive dunes. Feel the rush as you travel up and down the rolling dunes. There will be plenty of time to stop and take photos as you soak up the incredible white sand views and sparkling Indian Ocean. Adrenaline junkies will enjoy grabbing a board and sandboarding down the high dunes. Explore the natural beauty of Byron Bay on horseback Immerse yourself in nature on this guided tour Fun and easy activity suitable for all ages Explore the natural splendour of Byron Bay on this 60 minute horse riding adventure. From your comfortable seat on the back of a gentle horse you can marvel at the lush sub-tropical forest and admire the abundant flora and fauna along the picturesque trail. Your guide will point out interesting facts about the surroundings while you enjoy a leisurely amble through the forest. Both the young and old will find this a thrilling experience. Explore Byron Bay’s hinterland and coastline on horseback Immerse yourself in nature on this guided tour Fun and easy activity suitable for all ages Escape the city life and explore Byron Bay’s beautiful hinterland and coastline on this 90 minute horse riding adventure. From your comfortable seat on the back of a gentle horse you can marvel at the lush sub-tropical forest and admire the abundant flora and fauna along the picturesque trail. Your guide will point out interesting facts about the surroundings while you enjoy a leisurely amble through the forest. Once you reach the secluded Belongil Beach you will trot along the sandy shoreline, with breathtaking water views on one side and a dense wall of greenery on the other. 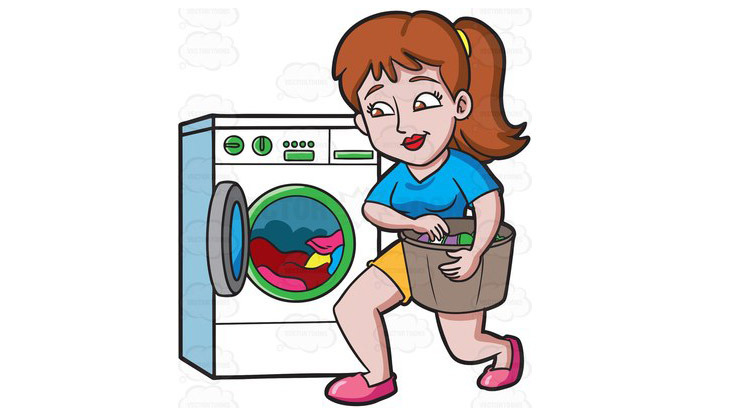 This leisurely group activity is a fun and thrilling experience for all ages. 60-minute private skateboarding lesson from pro skater Melbourne skateboarding lesson in RampFest Indoor Skate Park 2 hours free skateboarding time after your lesson There’s a lot more to skateboarding than meets the eye! Suitable for skateboarding beginners and those wanting to expand their skating skills, this private skateboarding lesson in Melbourne is matched to your exact needs and skills, so you’ll learn at the right pace. Whether you’re new to skating or not, you’ll have a blast with a private lesson tailored to you. To start, you’ll complete an individual skills assessment, where your RampFest resident pro skating coach will plan your personalised lesson. They will then teach you the etiquette of skating, go over basic skate park safety, and provide expert coaching tips. As the lesson progresses you will find out how to ramp up your skills to become a confident skater – you may even begin learning some tricks! Once your hour lesson is complete, you’ll have 2 hours to practise and develop your new skateboarding skills. 60-minute one-on-one lesson from a professional freestyle BMX coach BMX in RampFest Indoor Skate Park, Melbourne 2 hours of free ride time after your lesson In this Melbourne-based private BMX lesson, you’ll get a taste of freestyle BMX through coaching tips and tricks. This lesson is suitable for all ages and skills – beginners will learn the basics of the spot, and if you want to hone your existing BMX skills, you’ll be welcome to try out the park’s larger ramps. To start, you’ll complete an individual skills assessment, and from this your lesson will be completely tailored to you and your needs. You’ll cover basic indoor skate park etiquette and BMX safety, and then learn to freestyle BMX at your own pace and skill level. Once your hour-long lesson is complete, you’ll have 2 hours to let loose and practise your new freestyle BMX skills! Australia's largest walk-through aquarium See incredible sea creatures including giant sharks, stingrays and turtles Experience the amazing colours of a living coral reef Encounter the ocean's most deadly in the DANGERzone Touch starfish and baby sharks in the Discovery Pool Experience the Aquarium of Western Australia and journey beneath WA's 12,000 km coastline. There are over 40 awesome exhibits to see, including one of the world's largest living coral reef exhibits. Here you'll discover unique local marine wildlife and encounter some of the ocean's deadliest creatures including saltwater crocodiles, sea snakes and even sharks! The Aquarium of Western Australia is open every day from 10am-5pm (excluding Christmas Day) at 91 Southside Drive, Hillarys, WA. There are over 40 awesome exhibits to see, including one of the world's largest living coral reef exhibits. It's a great day out for the whole family! Rediscover the wonder of under the sea at AQWA. Canoe the Coorong National Park Guided tour of Coorong National Park 3-hours of kayaking Sand dune walks Bush tucker walks Morning and afternoon tea and lunch provided When you kayak the Coorong National Park, you’ll see it from a totally different perspective. Cruising through the exquisite saltwater lagoons and wetlands, you’ll see the very best of what South Australia has to offer. 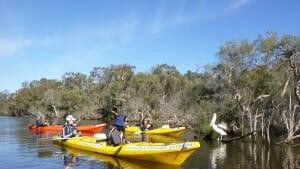 Departing from Hindmarsh Island at 9am sharp and following your expert guide for the day, you’ll experience 3 hours of kayaking, interspersed with walking across picturesque sand dunes and an adventurous bush tucker walk! Enjoy morning tea, a tasty lunch and afternoon tea to refuel your energy exactly when you need a pit stop. Expect to return with plenty of incredible photos and a feeling of accomplishment at approximately 3pm. 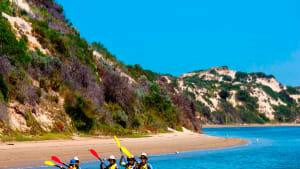 Canoe the Coorong National Park 3-hour guided tour of Coorong National Park Kayak the Coorong at sunset Sand dune stroll Delicious picnic Sorting out your next date night? Easy. You’re sure to be in the good books with this serene and unforgettable evening. When you kayak the Coorong National Park, you’ll see it from a totally different perspective. Cruising through the exquisite saltwater lagoons and wetlands during the soft evening light of South Australia, you’ll find inner peace and discover nature’s outer beauty in one of Australia’s spectacular National Parks. Departing from Sugars Beach Boat Ramp in the early evening, you’ll canoe the Coorong as the sun sits low in the sky, when the intense South Australia sunset colours start to make their entrance. Kayak to the Murray Mouth and enjoy a leisurely stroll across the picturesque sand dunes, before stopping for a delicious picnic featuring local cheeses, seasonal fruit and an array of beverages while breathing in the peaceful sunset. As the sun dips below the horizon, take a relaxed kayak journey back to Hindmarsh Island to complete your beautiful evening. 40-minute Top Gun flight in CT-4A warbird Perth aerobatic flight experience Enjoy low-level coastal flying Experience adventurous aerobatic sequences Gift certificate upon completion Bring your family and friends along to watch in awe as you fly through the air and perform aerobatic manoeuvres over the skyline of Perth – a thrill for even the most hardened adrenaline junkie. Taking off from Jandakot in an ex-Royal Australian Air Force trainer, you’ll cruise low through the air along the south coastline of Perth near Garden Island taking in a spectacular scenery before you put your brave face on to begin your wild ride! Pick up speed as you fly to higher altitudes and experience the extreme thrills of aerobatic flight. Pull hair-raising positive and negative G’s through daredevil manoeuvres like the famous barrel roll, stall turns and loops, among other exciting stunts. Experience this wild rollercoaster ride where the sky really is the limit! Upon touchdown with adrenaline pumping, welcome the applause of your spectators and receive a certificate commemorating your unforgettable day. Explore Queensland’s Daintree rainforest Ferry trip to Cape Tribulation Guided boardwalks Jungle surfing Lunch with bio-organic ice cream Wildlife cruise along the Daintree River Discover beaches and rivers to cool off Must-do experience when in Port Douglas Let your inner explorer out for the day with an adventurous Daintree rainforest tour. Start the day at 7am by taking a ferry to the remote Cape Tribulation where you can begin to explore the world heritage site, the Wet Tropics. You and your fellow explorers will breathe in the view of the glittering Coral Sea from the Alexandra Range Lookout, discover the boardwalks with your expert guide and encounter the exotic native wildlife that calls this backcountry bliss home. Discover your wild side with an exhilarating jungle surf – zip along the Daintree rainforest floor to see the local flora, fauna and native wildlife from another angle. If you’d rather keep your feet on the ground, you can feel free to explore the many pristine beaches around Cape Tribulation instead. Regain your explorer’s energy for the afternoon with a delicious lunch at a local cafÃ©, which includes a tasty bio-organic ice cream to restore your strength for the adventure ahead. When you hungry explorers have had your fill, you’ll head on to Daintree River where you’ll experience a wildlife cruise. From the boat you can sight eagles, snakes and maybe a croc or two. Pack your swimmers, as well away from crocodile waters you’ll have the option to take a refreshing swim in the upper Mossman River, weather permitting. Post-swim, you’ll be taken back to your Port Douglas accommodation for a well-earned rest - you’ve earned it, explorer! 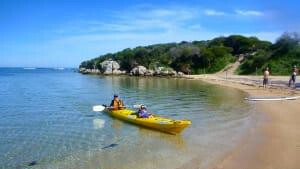 A 2-hour guided kayak tour through Batemans Harbour Explore the natural environment, wildlife and town waterfront Experience a unique coffee break on the water from the comfort of your kayak Explore Batemans Harbour by kayak on this 2-hour guided kayak tour. Your kayaking experience starts under the north side of the Batemans Bay Bridge. From here, you will follow the Clyde River down to Batemans Bay, following the town waterfront on the way. 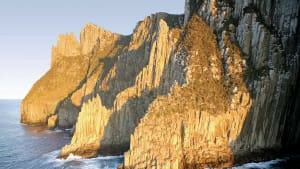 In the open waters of the bay you will visit the grottos and the dramatic cliffs of Square Head. Move quietly under jetties and take a peek at the waterfront restaurants as your experienced guide offers insight and historical facts about the area and the local wildlife. On the journey home the tour will take you to the north side of Batemans Bay where you will follow the national park back to town. Stop for a coffee at Innes Boatshed, but don’t worry about getting out of your kayak - the coffee comes to you! Keep watch for giant stingrays below as you relax and enjoy your coffee on the water. This is an ecotourism experience which means the provider has designed this tour to benefit the local community, heritage, culture and environment through sustainable travel. A 2-hour kayaking tour through Clyde River oyster farms Enjoy tasting fresh oysters taken from the river that day Opportunity to take the freshest of fresh oysters home with you in your kayak Indulge in the freshest of oysters and learn everything there is to know about oyster farming from the comfort of a double sea kayak in picturesque Clyde River National Park. On this 2-hour kayak tour, you’ll paddle through oyster farms and learn all about the art of oyster farming direct from oyster farmers. Taste oysters fresh from the farm and take even more home with you in your kayak! Safety comes first on this kayaking tour which begins with kayak familiarisation and paddle practice. In a double sea kayak, participants will paddle into the smooth Clyde waters. Immerse yourself in the Clyde river oyster farming success story as you explore the largest estuary system in Batemans Bay. Local oyster farmers Greg, Enola and Jade from the Oyster Shed on Wray Street will teach you all about the science involved in farming, different types of oysters, local cultivation techniques and the life of an oyster farmer. Be sure to take a look at the live racks filled with product and packing sheds before floating your way back to Batemans Bay Bridge within the Batemans Marine Park. Become certified to dive up to 18 meters in open water Gold Coast 3-day scuba diving course Led by fully qualified PADI instructor Practise your dives over 3 days Scuba equipment provided Lifetime certification awarded on completion Gain the necessary knowledge and skills to scuba dive up to 18 meters in open water in this Gold Coast scuba entry level diving course. Prepare to open up new adventures and opportunity wherever you travel with the certification you need to explore the underwater world – across the globe! In this 3-day Gold Coast open water scuba diving course, you’ll take part in exciting entry level diving activities divided into 3 segments: Academic training, confined pool training and open water training. Learn to breathe underwater and gain experience through a series of theoretical and practical training. Academic training: learn the knowledge and basic principles you need for fun and safe scuba diving. Confined pool training: discover the basic skills of diving in a practical diving lesson. Open Water training: demonstrate your scuba diving skills with the opportunity to practise in a typical diving environment. Once you complete the course, you will be awarded your PADI Open Water Certification card, allowing you to dive to a depth of 18 meters throughout the world. It will also allow you to hire scuba diving equipment from dive stores. The PADI Open Water Certification is valid for life, so you can scuba wherever, whenever. Discover the beautiful Wave Break Island, a short distance from the Gold Coast Sheltered, secluded site perfect for beginners and advanced Hand feed the local tropical fish Discover the crystal-clear shallows teeming with marine life Fantastic photography locations – both above ground and underwater! Departing from Main Beach on the Gold Coast, you’ll take a short boat ride to the beautiful and secluded Wave Break Island. There you’ll be guided to a quiet, sheltered spot perfect for comfortable snorkelling, with depths ranging from 0 to 15 meters. Relax on the beach or float on boogie boards with view holes to see below the waves in between your snorkelling adventures. Share the water with hundreds of fish native to the area – Wave Break Island must be one of the most populated in terms of fish in the whole of Australia! Many fish school in their hundreds, creating an incredible experience for you and some picture-perfect mementos you can take home. Your guides and crew will show you the best places for underwater photography, and you’ll get the chance to hand feed the fish – don’t worry, they’re friendly! Kids introduction to skateboarding 1-hour skating lesson taught by friendly instructor Safe environment perfect for kids starting out For kids who want to learn the basics of skateboarding, this lesson is perfect! With skateboards and all protective gear provided plus expert instruction from experienced skate coaches, your little one will stay safe even when trying their new, radical skills out on the obstacle course. Whether they've never been on a board or they've just started out, this skateboarding lesson for kids is catered to their ability and allows them to learn at their own pace with a small group. Witness the amazing plants and wildlife as you journey across this epic 4WD track Listen to fascinating stories about the oldest tropical rainforest in the world Enjoy tasty homemade scones with jam and cream and sip on local tea or coffee Explore the sights of Cooktown and taste the local cuisine Get ready for the adventure of your lifetime. This experience will take you down the legendary Bloomfield Track, a four-wheel-drive road running through the heart of the World Heritage Listed Daintree National Park. You’ll be surrounded by untouched wilderness with native wild animals and exotic birds. You’ll also visit an Aboriginal community and an Art and Cultural Centre before tasting a hearty lunch in a true Aussie pub.Your journey will also take you through Black Mountain National Park and Cooktown, where you’ll witness the spectacular views from Grassy Hill. This promises to be truly breathtaking scenery, so make sure you bring your camera. See breathtaking wild orca whales off the south coast of Western Australia An all-day scenic cruise Includes morning and afternoon tea, lunch, all day refreshments and complimentary beer/wine This full day experience will take you on an incredible expedition to see the orca whales in their natural environment. Board the luxury vessel at Bremer Bay Boat Harbour and sit back as you listen to the live commentary explaining the behaviour of orca whales and their fascinating migration patterns. Orca whales come to Bremer Canyon to feed, but these nutrient rich waters are also the feeding grounds for beaked, pilot and sperm whales. Spot other marine animals too, including sea lions, dolphins and sharks. A professional photographer on board will capture all the memorable moments and these photos are included with the tour. Throughout the day passengers are invited to snack on morning, afternoon tea, lunch and refreshments. Complimentary beer and wine is provided on the journey home so you can toast to new lifelong memories. 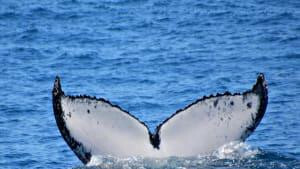 A whale watch cruise departing from Augusta in Western Australia’s Southernmost tip An opportunity to see Humpbacks, Southern Right Whales and Blue Whales Discover their world under the ocean surface with underwater camera and hydrophone Encounter the whales in a whole new way! This is your chance to see incredible Humpbacks and Southern Right Whales on this ultimate whale watching cruise. On rare occasions, Blue Whales can be seen surfacing on the Indian Ocean. The knowledgeable crew can educate you on the whales and marine life. Take it all in from an exclusive vantage point in the VIP Captain’s Lounge. The boat has an underwater camera which provides an intriguing glimpse of the whales in their natural habitat under the water’s surface. Using an underwater hydrophone, you will be able to hear the whale’s exotic song. Relax on a 6-hour cruise with catered lunch Plenty of photo opportunities for bird watchers Take a stroll along the hidden beaches The Coorong National Park is iconic for its spectacular natural beauty and is of great Aboriginal significance. This boat cruise will transport you to a hidden sanctuary of tranquillity, gliding into pristine saltwater lagoons to explore the hidden beaches the area is known for. This is the place where the popular Australian movie ‘The Storm Boy’ was filmed and is a haven for birdwatchers, so be prepared to see a variety of native birds and pelicans. There will be plenty of photo opportunities and sand dunes to stroll making this a memorable day out on the water. 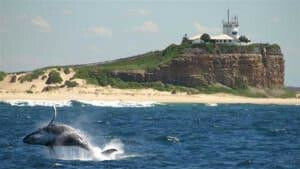 See and learn about the incredible whales on this 3-hour whale watching cruise An opportunity to see other wildlife including dolphins, seals, penguins, sharks, sea birds and more Complimentary morning tea and onboard food facilities available Cruise through the ocean waters off Newcastle in this exciting 3-hour whale watching cruise. You’ll enjoy informative commentary from the captain, as you keep your eyes and ears open for the resounding splash of a whale. Be on the lookout for other local wildlife, these waters are also home to pods of dolphins, seals, penguins, sharks, sea birds and more. Enjoy complimentary morning tea in addition to a licenced bar where guests can purchase drinks and food snacks. Explore the sensational coastline from Port Arthur to Eaglehawk Neck Discover coastal wildlife including seals, dolphins and migrating whales Enjoy a 3-hour visit to the iconic Port Arthur historic site Join this award-winning eco cruise and tour the panoramic coastline between Port Arthur and Eaglehawk Neck for an entire day. The purpose-built yellow boats will take you through awe-inspiring deep-sea caves, past spectacular waterfalls and archways, then glide past the base of Australia’s highest sea cliffs and Cape Pillar. Have fun looking out for coastal wildlife like seals, dolphins, migrating whales and a variety of birds. After the blissful nature cruise, you can enjoy a leisurely lunch before continuing on to discover the Port Arthur historic site. You’ll have 3 hours to explore the ruins of this early convict settlement, one of the largest in Australia. Walk through the many lush gardens on the site and visit the iconic ruins of ‘The Hospital’ to relive a bygone era. Enjoy a 40-minute scenic flight over Kalbarri National Park Witness incredible natural features and formations Discover places accessible only from the air Treat yourself to a jaw-dropping scenic flight adventure. Departing from Kalbarri, you’ll head to Kalbarri National Park where you can enjoy the sweeping views of the rugged scenery. You’ll fly over Ross Graham Lookout that surrounds the lower reaches of the Murchison River, and get a birds-eye view of the incredible 80 kilometre gorge the river has cut through the sandstone creating interesting formations along the way. Accessible only by air, you can marvel at the remarkable Hawkeshead, Little Z Bend, Big Z Bend and the Four Ways, incredible formation of the winding river travelling one way with two large outlets cutting out in both directions. The adventure doesn’t end there. 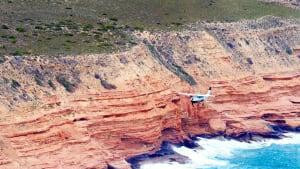 Your return flight path will take you over the Murchison House Station and the Coastal Cliffs with their stunning red sedimentary rock colours and a brief flyover of Kalbarri. 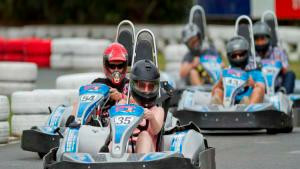 Enjoy four thrilling sessions of go karting Feel the excitement of racing at speeds of up to 85kms Fun and entertaining activity for groups and birthday parties There are many fun things to do in Brisbane, but those seeking an activity that will really get their adrenaline pumping will find this Go Kart Racing experience the perfect choice. Start with a safety briefing then jump in for the ride of your life on the race track. Over 4 sessions lasting 10 minutes each, you can test your driving skills, travelling at speeds of up to 85kms. This activity is sure to get your heart racing and, once you get the hang of it, you’ll love zipping past your opponents, getting better each time over the four pulse-pounding sessions. Tour Sydney on a Harley Davidson motorbike A 60-minute Harley Davidson motorbike tour taking you to, and through, the sights of Sydney Jump on with an experienced rider with jacket and helmet provided Forget the bus tour, explore Sydney on an iconic Harley Davidson motorbike! An experienced rider will meet you at your chosen location in the CBD where you’ll be fitted with a jacket and helmet. Cross the breathtaking Sydney Harbour Bridge in the first part of this thrilling 1-hour ride. Feel the wind blow through your hair as you take in views of the magnificent Opera House. With the sky above you, simply look up to admire the city skyline and incredible structures above you. Wind your way through the CBD and roar down the Golden Mile of Kings Cross before making your way round to beautiful Mrs Macquarie’s Chair. Take a minute to stop and capture the moment with a photo opportunity on the Harley before your tour comes to an end. Encompassing all the unique attractions of 2 stunning national parks, including Warren National Park and D'Entrecasteaux National Park 4-hour action packed 4WD off road beach & forest adventure Lunch or afternoon tea incorporating local produce Begin the tour with an informative drive to your first destination at Warren National Park. Your seasoned guide will explain all there is to know about the surrounding farmland before you embark through winding bush trails to reach the giant majestic trees of the Karri Forest. Meet the local wildlife that inhabit this pristine forest. On your 4-wheel drive adventure you may come face to face with emus, kangaroos, snakes and unique local bird life, including the Red Tailed Black Cockatoo. 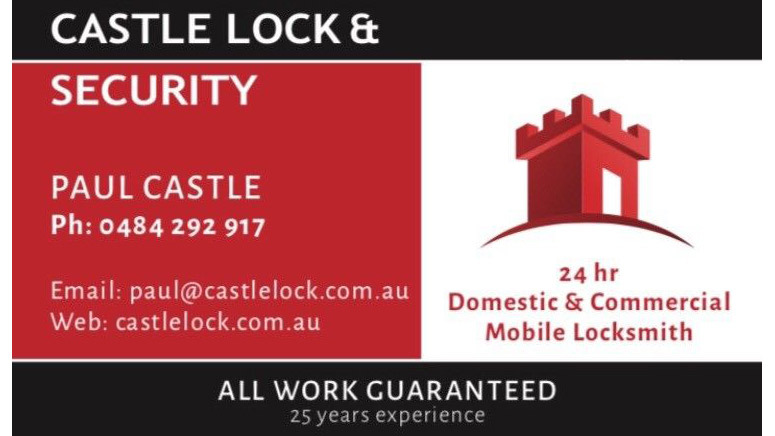 From the security of your 4WD you will travel from the river valleys to the Karri Forest, followed by the thick forests of the coast. 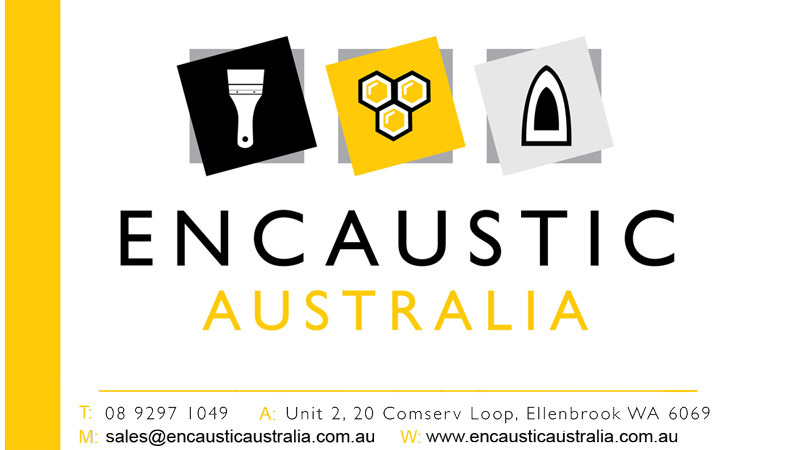 The D'Entrecasteaux National Park is the next stop. Here you will visit Dead Man’s Lake where you will be invited to wander the banks and discover its colourful history before taking a look at the largest landlocked sand dune system in the Southern Hemisphere. At the lake you can soak up the peaceful surrounds as you enjoy fresh lunch and afternoon tea made up of local produce. Sea kayaking adventure to Seal and Penguin Islands A close up look at rare Australian sea lions in their natural environment as well as pelicans, cormorants and other birdlife Enjoy a picnic lunch on beautiful Penguin Island Participants can make their own way to Shoalwater Marine Park, where the sea kayak tour takes place, or they can take a 45-minute shuttle from Perth. The first part of the kayak tour involves a 15-minute paddle to Seal Island. Here, you will have the opportunity to see Australian sea lions from the unique vantage point that your double sea kayak provides. Participants are encouraged to look out for dolphins too! Shag Rock is another stop on the kayaking tour. You’ll find pelicans, cormorants and other native birds gathering here. Penguin Island is the next destination, where participants can enjoy a prepared picnic lunch. After lunch you can view the unique rock formations, go for a walk, snorkel or relax in the beautiful natural environment, before kayaking back to the mainland. A unique kayak tour Take in the natural surroundings as you paddle along the Canning River A fun and easy way to explore beautiful Canning River Regional Park Jump in a canoe and discover the beauty of Canning River Regional Park. This hidden nature gem, tucked away in the southern suburbs of Perth, is home to paperbark trees and lively water birds. Forget walking, paddle your way through this serene park in a kayak and have lots of fun doing it! When you buy an egiftcard or gift card at the Rozelle salon, you can save 10% off full price as well as a complementary add on collagen booster valued at $49 when you book in for a treatment. 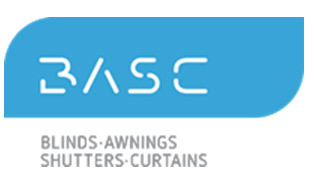 To save 10% off please call Rozelle salon only at 0295551593 or email us at rozelle@urbanspa.com.au when making the purchase. 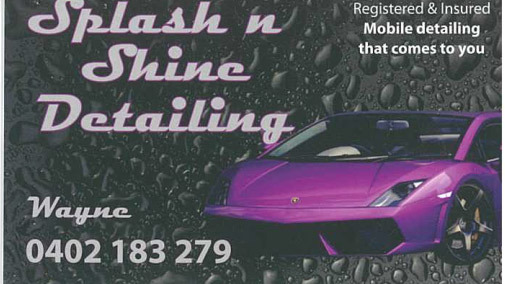 Please be advised this offer is not in conjunction with other specials/promotions. 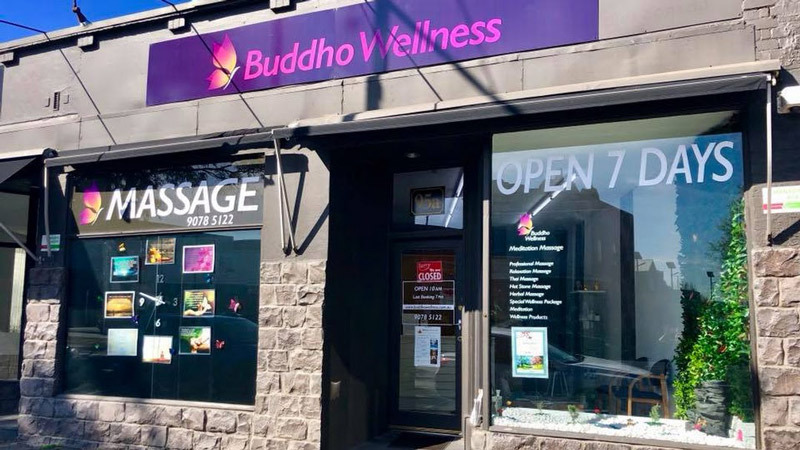 Urban Spa Rozelle offer the ultimate in Skin Rejuvenation treatments eg facial, hot stone massage, pregnancy massage, Indian head massage, waxing, tinting, including laser, IPL, skin needling and IPL hair removal and injectables. Urban Spa offer professional advice whilst their skin care products and treatments look after the outside, they also work on the inside, releasing stress and tension and providing balance and harmony through the power of essential oils. 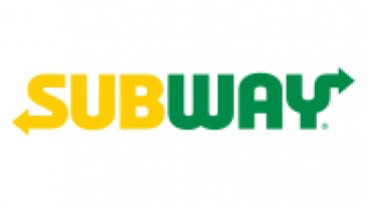 Save 25% off the total bill up to the value of $20. Not valid $10 lunch special. 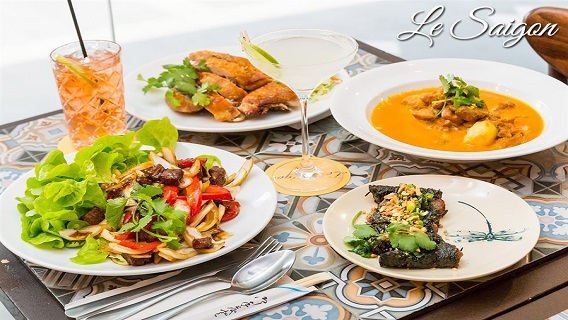 At Le Saigon we're committed to providing you the best Vietnamese food experience. Our food is 'wet-aged' in a controlled environment to ensure tenderness and seasoned with a secret blend of Vietnamese herbs and spices. 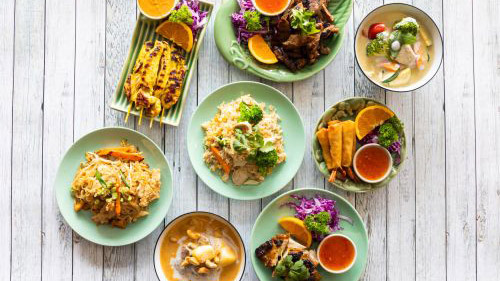 This sprawling plaza café and restaurant takes up shop in the centre of Lane Cove, tapping out coffee by the Grounds, hearty brunch plates and shareable dinner feasts. 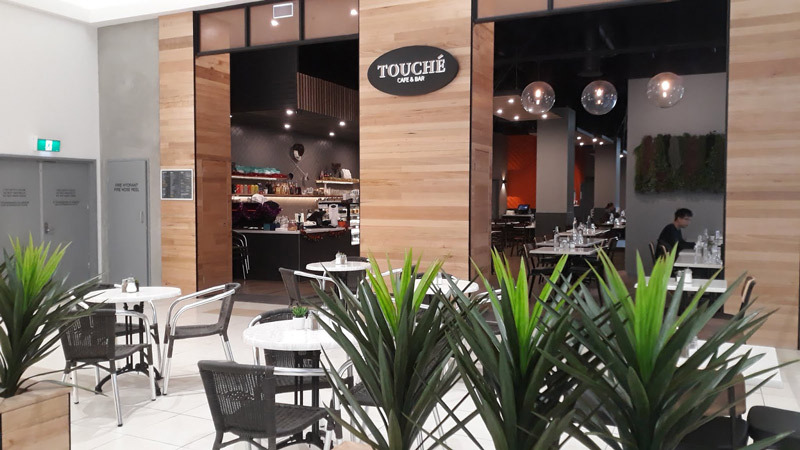 There’s plenty of outdoor (but sheltered) seating so it’s a good spot for dog owners, and there’s plenty of room inside to accommodate big families. Relaxed seafood restaurant dining close to Manly Beach. 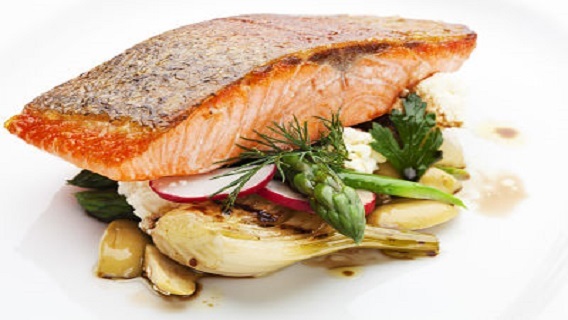 Enjoy the freshest of Manly seafood - that's what the Manly seaside lifestyle is all about. Save 25% off the total bill up to the value of $50. Damian Heads, from Channel 10's Ready Steady Cook, opened Woodland Kitchen with wife Jenni in 2013. Together with their team, they cook over a wood fire grill, bringing a refreshing menu of Modern Australian food they feel proud to serve to you. A casual yet personal service from a friendly, professional front of house team will make for a memorable dining experience. 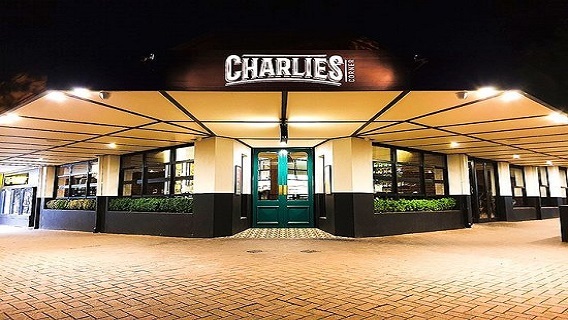 Named after Charles Kingston, aiming for a relaxed local experience. Australia's Highest Tandem Skydive! The sky is calling you. Not quite sure you’re ready for the incredible free-falling experience of skydiving? Tandem skydiving is the perfect way to indulge in this thrilling aerial experience with the comfort of doing so in a pair. Nothing more to pay on the day! 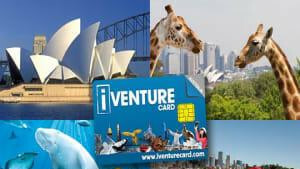 Your Australian Parachute Federation Levy is included in the price. Before we send you up, we’re going to make sure that you know everything you need in order to have the most awesome and fun tandem skydiving experience ever! You’ll learn how to control the canopy, the right way to exit the plane and how to land safely. 15,000 feet up and 20 minutes later, you’ll be ready to literally fly; out of the plane, that is! Once you take the coolest leap ever, you’ll be floating in an amazing expanse of open air. Be sure to take in the incredible view around you as you hurtle through the air for up to 70 seconds. In just five minutes, you’ll go from a heavenly view to an earthly landing. Don’t hesitate to enjoy this adrenaline pumping experience that you can brag about with all of your mates. Ever wanted to test your aim? Well now is your chance to try clay target shooting with a real 12-gauge shotgun under the direction of an Olympic gold medalist!Upon arrival at the outdoor shooting range, you'll fill in a NSW Police declaration form before getting kitted up. You'll be wearing a shooting jacket, safety glasses and earplugs. There will be 10-16 others in the session and so everyone gets a name tag, so you're able to make friends! 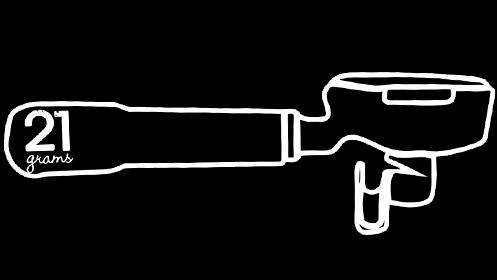 A safety briefing will follow, you will be shown how to handle the gun safely, how to hold it and how the ammunition works. You will then fire at clay targets from safety frames with one-on-one instruction. You'll first begin with easy single incoming targets. Once your aim gets better and you feel more confident, the targets will become harder to shoot. Doubles, pairs, outgoing and crossing targets will reveal who is the best and most accurate shooter. As a memento of your session, you'll take home an autographed clay target.